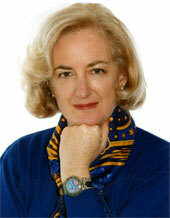 A former editor at the American Academy in Rome (1970-1980) and consultant for the United Nations Food and Agriculture Organization (1981-1986), Lucy Gordan has been a member of Associazione della Stampa Estera in Italia (Foreign Press Association) since 1988, a non-resident member of the National Press Club in Washington D.C. from 1990-2014, a member of the Overseas Press Club of America since 2011 and of the Holy See (Vatican) Press Corps since 2014. 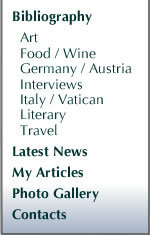 She was also a member of IFW&TWA (International Food, Wine, and Travel Writers Association)for over 25 years. In 2006 she won the Heidelberg Club International Mark Twain Travel Journalism Award. In June 2011 the Croatian National Tourist Organization awarded her in the city of Osijek, Slavonia,the "Ztalana Penkala" or "Golden Pen" top journalistic award for the best article about Croatia published in the United States during 2010. Hers, "Egypt in Zagreb", published in KMT: a modern journal on ancient Egypt, was a profile of the ancient Egyptian collection in Zagreb's Archeological Museum. She is Culture Editor of Inside the Vatican, Europe's Bureau Chief of Epicurean-Traveler.com, a columnist, "Italian Hours", at www.lavocedinewyork, and a regular contributor to German Life, KMT: a modern journal of ancient Egypt, and La Madia, an Italian eno-gastromonic and travel monthly. Her freelance articles have appeared in Yerevan, Art & Antiques, The Baltimore Sun, New York Daily News, The New York Observer, The European, Denver Post, Cucina italiana (the English edition), Qantas's Australian Way, Book, Antiquarian Book Monthly, United's Hemispheres, EgyptAir's Horus, Gulf Air's Golden Falcon and Bahrain Gateway, Singapore Airlines' SilverKris, US Air's Attaché, Sabena's Passport, Diversion, Europe, Travel Agent Magazine, Period Living and Traditional Homes, Delta's Sky, There, Renaissance, Wilson Library Bulletin, Poets & Writers, Bookdealer and Biblio. In 1997 Italica Press in New York City published Sparrow, her translation of Giovanni Verga's first successful novel.